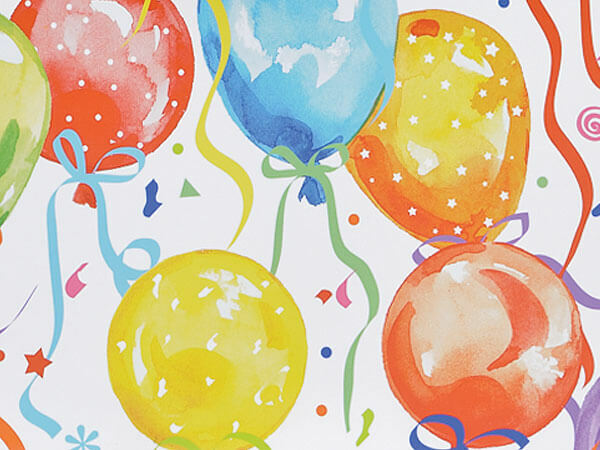 Balloons & Ribbons gift wrap paper features beautifully colored balloons with streamers and confetti on a white background. Bulk wrapping paper roll measure 24"x85' and wraps on average 70 gifts. Made in the USA. Jumbo rolls are shrink wrapped and each roll of gift wrap will wrap approximately 50 gifts. Heavyweight wrapping paper for all the things we celebrate like wedding, baby and birthdays. Available while supplies last.